I have been apologizing a lot lately. Apologizing for not returning emails or phone calls right away. Apologizing for being too tired to cook dinner…again. The truth is, this is just a really busy time of year for me, and with it getting dark at 4pm…well, I don’t have to tell you! This dinner is one of my very favorites for busy, tired nights. 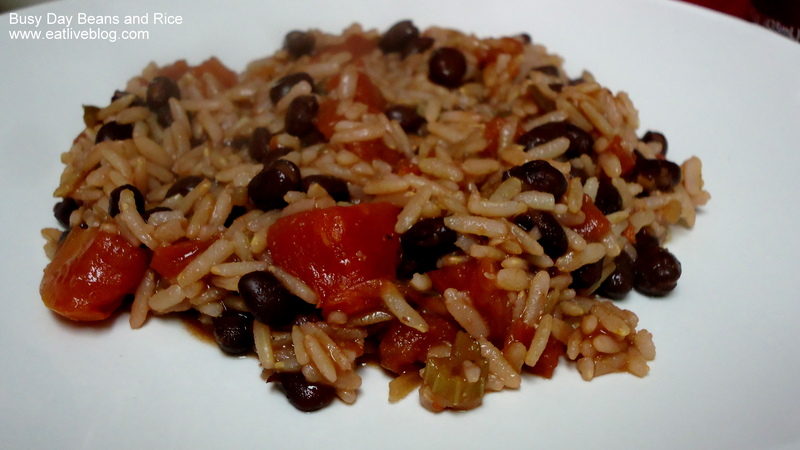 It is warm and comforting, and it has protein, grains and veggies. And you can cook it in one pot! It is exactly what the doctor ordered for nights when you are too tired to do more. 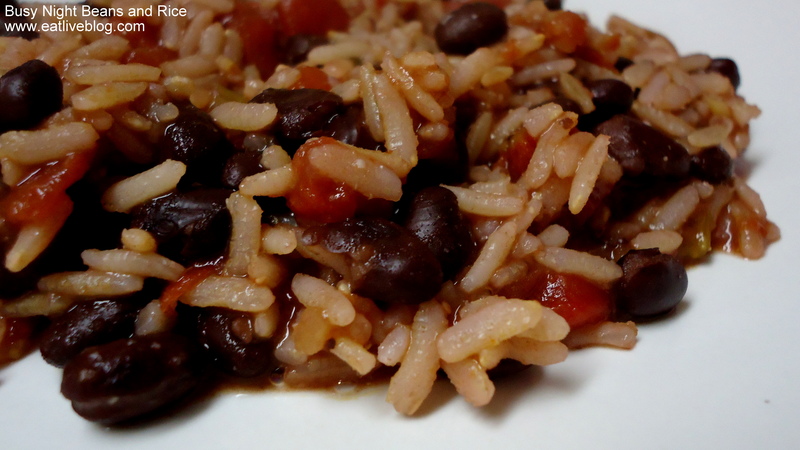 The base of the recipe (tomatoes, beans, rice) can really make this whole meal if you don’t have the other ingredients on hand. You can also beef it up if you like, adding additional chopped veggies, and even cooked chicken or sausage. Stir and serve! If you have enough energy to get fancy, think about toppings like shredded cheese, diced onions, sour cream…and more hot sauce! Contest is now closed! You know what else can make a busy, tired gal happy….free coffee! For the next 2 Fridays (11/18 & 11/25), stop by any Cumberland Farms for a free iced or hot Farmhouse Blend coffee! And even better than that…one lucky reader is going to win 1 lb of Farmhouse Blend Coffee, a reusable coffee cup, and 2 coupons for free hot or iced coffee for when the free Friday promotion ends! All you have to do to enter is comment on this post with what is your favorite “busy day” treat. It can be a dinner, a snack, or even a pick-me-up coffee! All entries must be received by 11:59pm on Sunday, November 20, 2011. Winner will be selected using random.or and notified on Monday, November 21, 2011. You must have a mailing address within the continental US to win. 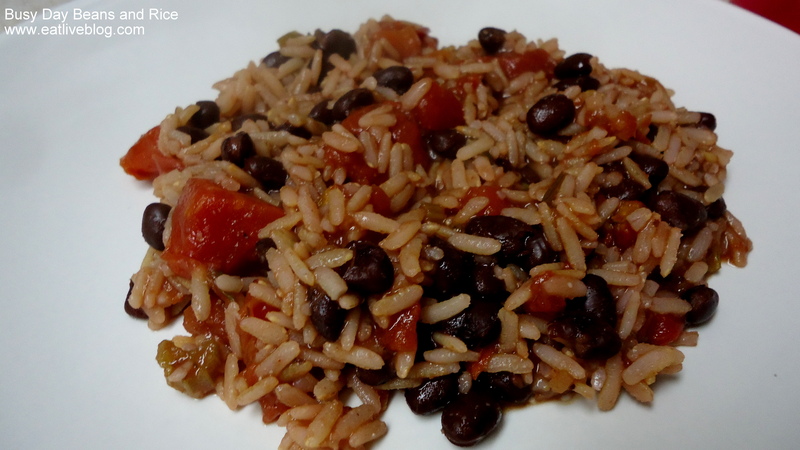 This entry was posted in Recipes and tagged Beans, beans and rice, brown rice, coffee, Contest, cumberland farms, dinner, farmhouse blend, free, main course, recipe, vegetarian by reneeh. Bookmark the permalink. Ah yes, same here! It getting dark early has such an impact on my perception! My busy day treat is a cup of hot tea! I’ve been having a lot of those similar kinds of nights. Hope things ease up soon!